In any industry, especially those that are faced with the current global economic challenges there are always certain industry leaders that form the industries foundation. We are immensely proud to say that during our almost two decade history Rocket Creative have developed many robust and mutually respectful working relationships with many of these core players. Listed below are a few of our blue chip clientele, both of end users and intermediary agencies alike that have kindly shared their opinions and experiences on working with the Rocket Creative crew. With regards to the brand activation businesses listed, in turn we can confidently and un-reservedly endorse these companies as superb go-to businesses for any brand activation, adverting or promotional campaign requirements you may have. Rocket Creative are proactive, flexible and creative (the latter goes without saying). Proactive in their approach to business and ensure that we are always updated on the latest product offerings. Flexible in accommodating our very tight deadlines at times and finally creative in working with us to find solutions for some of our projects. We have had a good working relationship over the years as a result of this. We approached Rocket Creative to design and produce reusable free-standing units and banners for our centre court activations. They delivered high-quality, affordable units, within a tight turnaround time, which enabled us to set up a series of very successful activations around the country. Daryn and his team are always willing to help and pride themselves of their output! Rocket Creative was instrumental to the successful launch of Saeco espresso machines to the trade. Briefing them with our concepts, I got so much more than I expected! They managed to show insight into elements that will work for trade and event displays, whilst creatively able to work within all the strict brand guidelines for the company. The production quality and care taken in production and final set-up is exceptional, and worth the money spent. As a through-the-line agency who provide an assortment of services to our international clients and as specialists in the Events, Activations and Retail sector I can honestly say that my dealings with Rocket Creative in the past 4 years have been nothing but an absolute pleasure. They are innovative and their quality is of the highest possible standards. Always ready and willing to assist with sometimes ridiculous deadlines, it is certainly a supplier we value to have on our side. I’d like to take this opportunity to thank you for the amazing work you have done for us, Rocket Creative has never let us down and always manages to hit the brief 1st time. Your team is amazing and a pleasure to work with. Thank you again and keep up the phenomenal work. Rocket Creative has been Zinto’s GO-TO supplier and preferred manufacturer of in-store tables, promoter trolleys and custom units for a number of years now. Their staff have always been very professional, available and helpful, willing to go the extra mile and offer their professional help whenever we need it. I can highly recommend this creative team! Working with Richard and the Rocket Creative team has always been an absolute pleasure. It’s not just the high quality level of workmanship, but also their ability to provide solutions and often great ideas that are a major addition to our brand activation campaigns. We have found in our dealings with Rocket Creative that they embody their name: concepts, design and turn-around times are like a rocket – impactful, energetic, professional and WOW! They are certainly one of the most creative agencies we have ever worked with and their passion for what they do can be felt and seen in everything they produce. Richard and his team ensure that there is one less thing to worry about when launching major national campaigns. Our experience with Rocket Creative has always been phenomenal. The team are incredibly responsive and always willing to assist in finding a workable solution, regardless of budget or timing restraints. Their products are competitively priced and deliver an effective, efficient and impactful solution for the majority of our in-store activations requirements. As a company 17 years young in the experiential marketing industry in South Africa, Matriarch are constantly striving for both uniqueness and innovation. In Rocket Creative, we found a partner who is driven by the same ethos and furthermore has an astute understanding as to the challenges we face in executing our mandates. We look forward to shared drivers and successes for many years to come. I have had the pleasure of working with the design and production team at Rocket Creative Design and Display on a number of key client campaigns. Their ability to design practical bespoke solutions allows me to offer my clients a creative edge in activations and product display. On more than one occasion they have gone above and beyond to turn key projects into reality in the shortest of lead times, while maintaining their high standard of production excellence. Rocket Creative are our “Go To” partners for everything visual when it comes to our activations. The quality and innovation that the team provides is exceptional and ensures our Activations and Events are always spot on and visually engaging. In the event game turnaround time is key and Rocket is always willing to assist with tight deadlines. 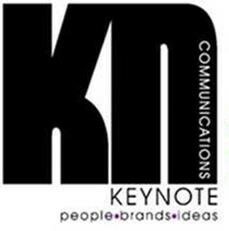 Rocket Creative plays a big part in the success of our promotions and we are proud to be associated with them. We have worked with the Rocket Creative team for almost a decade. During that time the quality of their products and service has always been excellent. Richard and his team go above and beyond when it comes to delivering to tight deadlines and turning things around quickly for us. We would highly recommend Rocket Creative. Thank you and your team for your excellent service, integrity and honesty always. It’s been many years we’ve been doing business together and we continue to send business your way because of the above values which you guys continue to excel upon every-time we do business together. Keep delighting always! We have been working with Rocket Creative since 2013. From innovation, production turnaround times, excellent quality products and amazing client service from Liz, Rocket Creative ticks all the right boxes. Mbongiworks have worked with Rocket Creative for some time now and are delighted with the work carried out on a weekly basis. 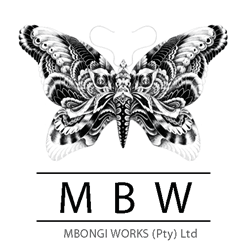 Mbongiworks is involved nationally with clients and have some really unrealistic deadlines and timings (never mind some of the sizes of items) of which Rocket Creative has taken control, by assisting with ideas, custom products and short lead times. Rocket Creative have really made our lives easier, knowing that once an order has been confirmed, the deadline with a quality product is guaranteed. I would highly recommend their services to anybody wanting branding solutions.